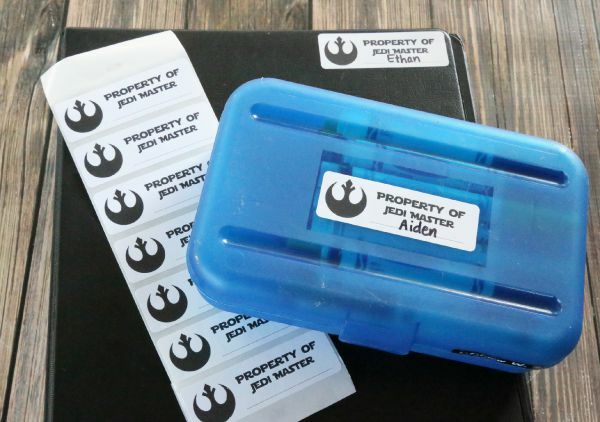 Back-to-school season is in full swing here and with it comes labeling all the things. 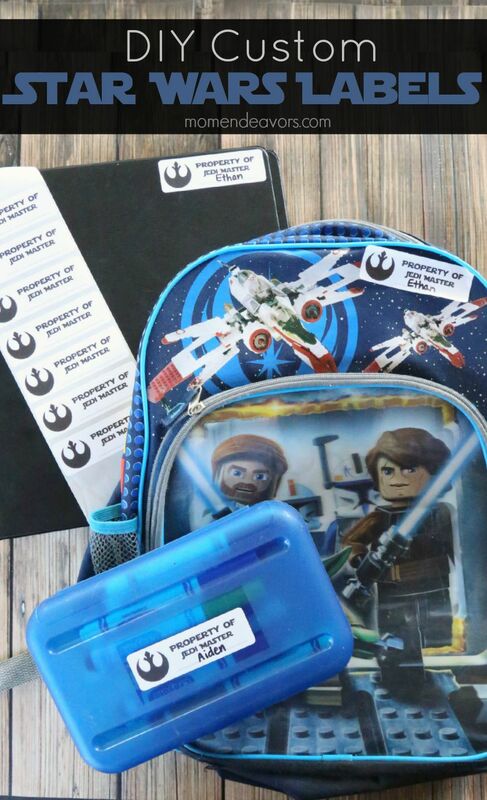 Between preschool, kindergarten, and elementary school, there’s a seemingly endless list of school supplies all needing to be labeled! So I decided to get a little crafty and create some custom labels for the boys to use with my new Leitz Icon Label Printer. Leitz sent me their Icon Smart Labeling System to try out and it’s amazing!! I LOVE that with the Leitz software you can easily design your own custom labels! Needless to say, the boys were SUPER excited about their special Star Wars Jedi Master labels. Using the software, they were SO easy to create! You can fully customize your labels with images, different text styles, etc. Your only limitation is the grayscale only printing; otherwise, you have tons of creative possibilities! I designed these in the software in under 10 minutes! I just inserted a png file image of the Rebel Alliance Logo and then did the text. The software pulls from all the fonts saved to your computer, so you can really get creative! I did it all on my computer, but with the Leitz Icon app you also have the ability to work wirelessly! When it comes to labeling systems, a lot of people just think of business uses like shipping/mailing, filing, etc. Those tasks certainly are made really easy with the Leitz Icon. But there are so many other at-home uses! I just LOVE the ability to do custom labels so quickly without dealing with all the formatting & printing issues that normally comes with regular at-home label printing. These were perfect for back-to-school, but I can think of so many fun crafty applications as well! Prints up to 200 labels per minute!! Super awesome, right?! 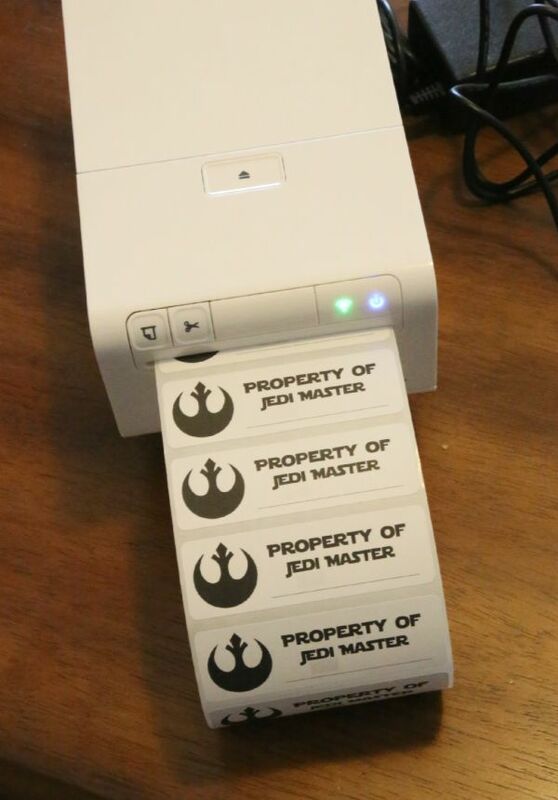 I LOVE how easy label printing is with this handy little gadget! Click here to BUY NOW on Amazon (affiliate link) or look for it in office supply stores like Staples. Also be sure to check out Leitz’s website or follow them on social here: Facebook | Pinterest | Twitter. Disclosure: This post is part of a sponsored campaign with Leitz. All thoughts, ideas, and project idea were entirely my own. « Imagination comes to life with Disney’s Playmation – Hottest new tech toy! People think I have everything labeled becasue I’m organized. It is really because I am lazy and hate to hunt for things! I don’t like my handwriting on my labels I’ll have to looking getting a decided custom printer like this. So cool! We could use one of these for all our household organization projects we’re doing right now. Plus back to school labeling all the stuff. What a fun and handy tool!! You KNOW I love these – what a cute idea!